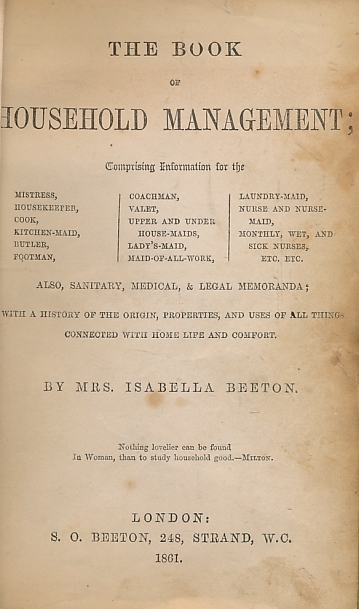 Barter Books : Beeton, Mrs Isabella : Mrs Beeton's Book of Household Management 1861. 248 Strand London. : S O Beeton. 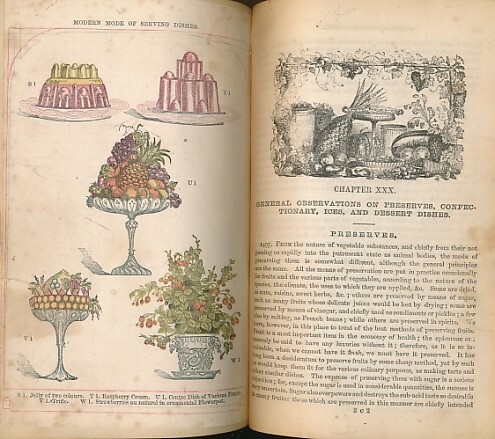 12 colour plates + colour title page. 180 x 120 mm (7 x 5 inches) - xxxix, 1112pp. Brown hardback half-leather cover with green boards. 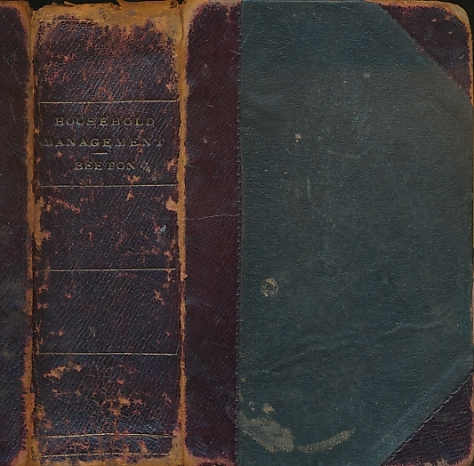 G : in Good condition with heavily rubbed cover. Foxed. 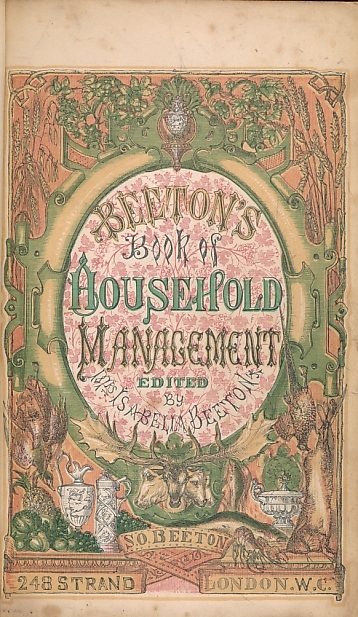 Several hand-written recipes on back pages.